I’d like to start today’s post by asking, have you pledged on our fearless leader’s Indiegogo campaign yet? It’s the last day! Get thee to the campaign before it is too late! 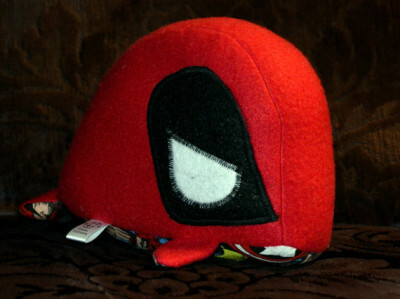 There are so many quilts/pillows/dice bags to be had! 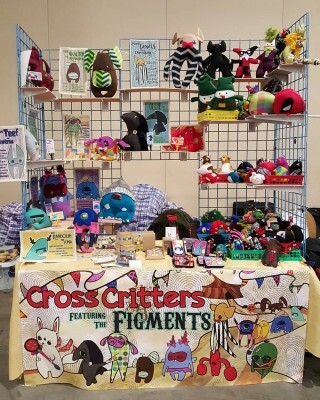 Ok, now that you’ve done that, let’s talk a little bit more about another artist I came across at MAGfest last week: Cross’ Critters. 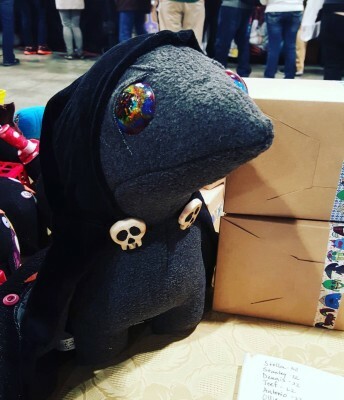 If you love plushies like I do and let’s face it, I’m kind of a plushie hoarder, then Megan Cross has some critters for you! I really admired her talent and innovation. 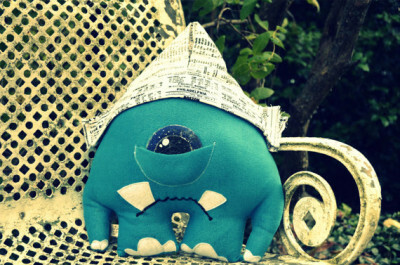 Her needlecraft is truly a weird, wonderful work of art in this medium. 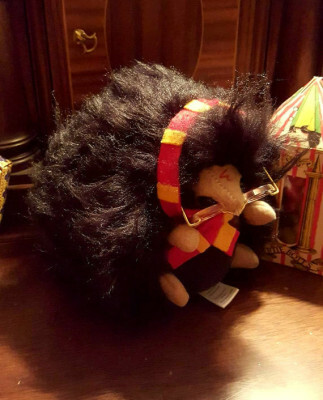 She pulled me in with her fun takes on pop culture characters like the kitty Harley Quinn, the Hedgie Potter, or (my personal favorite) WhalePool. The crowning glory, though, as you can tell by her lovely signage, are her Figments. These interesting little guys are monster plushies with their own backstory sprung directly from her very vivid imagination. They are each oddly cute in their slightly creepy own way. 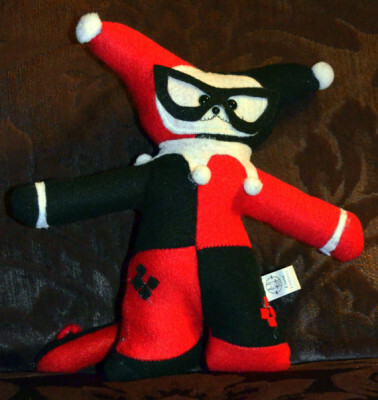 Besides catching her at conventions throughout the year, Megan and her Figments can be found on her website, Etsy shop, Facebook, Instagram, Tumblr, and DeviantArt. See you next Sunday when we’ll start thinking about Spring! I have been asked a lot of questions on my Indiegogo so with one day left I wanted to answer those questions. Hopefully this will help not just those interested in supporting me, but supporting others. So what is a dice bag? A dice bag is a small draw string pouch that is normally used to hold dice for tabletop gaming. You don’t have to just use it for dice though. How secure is giving someone money on line? It is very secure when done through proper channels. Crowdfunding sites such as Indiegogo and KickStarter charge your credit card directly when the campaign finishes. They do it in a very safe and secure way and the person you contributed to never sees your payment information. Choose a perk on the right hand side of the campaign. Make sure you read the campaign itself for more information about the rewards. If you wanted to contribute more than what the perk is for, just add the additional amount in the checkout. There is a time limit, what does that mean? Just that, most campaigns are only for a certain period of time. In the case of my campaign, it ends Sunday February 28th at night. That means the rewards won’t be available any more. For me, if I don’t raise enough to pay for the things that were stolen, I won’t continue taking commissions and may stop attending some conventions. For other campaigns they may have rewards that are only ever going to be available at that time. Hopefully this helped everyone that isn’t familiar with Indiegogo and KickStarter! If you would like to visit my campaign on Indiegogo, it can be found here. 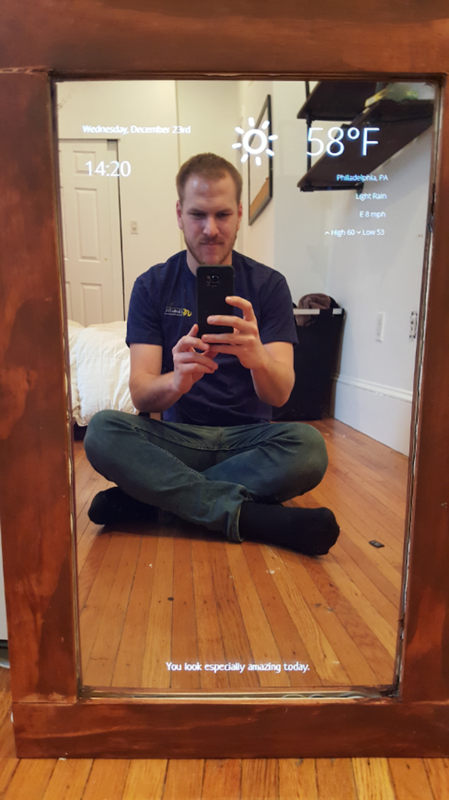 Artist Feature: Dog Might Games, now with 50% more IRL adventure! We live a world where plastic rules, where products are not expected to last for more than 6 months, and where there is very little option, minus the use of a sharpie, to make something our own. This is why we’re here, though! We craft because we want to express ourselves and because we want quality, we want the items in our lives to truly mean something. This is exactly where Dog Might Games stands. You may remember a feature I wrote for them a while back (seen here) where I reviewed their work and artistry, and talked about their unique perspective. 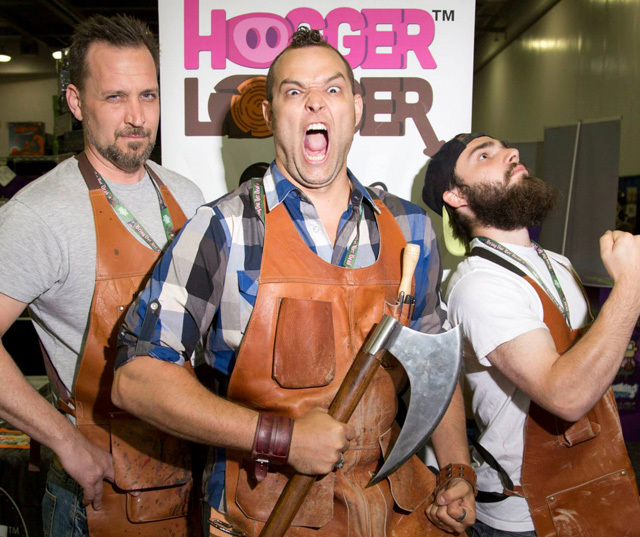 Recently this lumberjack/canine company set up a Kickstarter for their most recent creation: The Dragon Sheath. 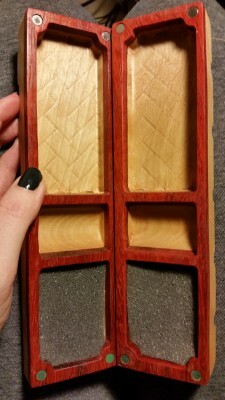 These pieces are meant to house your various tabletop RPG items, keeping them secure and neat, which is much like the box itself! The obvious: These are really well made. 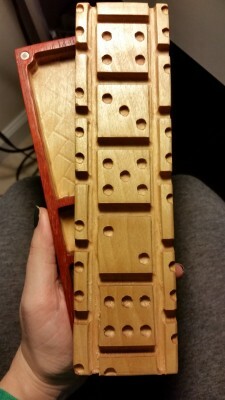 This is like the blackbox of a dice plane; the magnets holding it closed are incredibly strong but have been placed in a way that makes for easy angle opening. I actually took my dragon sheath to a tabletop game store here in Manhattan and showed it to the employee to ask him what he thought. I could tell he was ready to be underwhelmed, but as he held it, opened it, and looked it over, he let out a very surprised “This is actually really nice.. REALLY nice. I’ve never seen anything like it.” This store had a so many items I could barely walk through it, and yet they did not have anything like this. I think even Michael Bay himself would have a hard time wanting to blow this thing up. He’d do it, but he’d shed a tear. I love the variety that is offered with this new piece: from designs to wood choice, to customized interior chambers, it is all here. 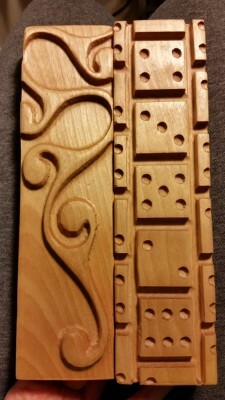 Whether you’re a seasoned D&D’er, or just looking to break into IRL RPG, these dice sheaths are a beautiful and functional addition to your tabletop munitions. It’s a Mat(ter) of Cork. Today I have a simple tutorial from CraftyNest for you to make something awesome for your bathroom. You just need a whole bunch of natural – as opposed to synthetic – corks, (the tutorial I’m using for reference uses 175 to give you an idea of just how many you’ll need) to make the most awesome of bathmats. You need a few other things too. Hot glue stucks and a hot glue gun, non adhesive shelf liner – which you can find at local hardware, bath, kitchen or craft stores. Y ou’ll also need some tools. A sharpened knife and cutting board, scissors (or a rotary cutter/mat if you have one) a long ruler and coarse sandpaper. So, using your knife, and being very careful not to cut your fingers off, you will need to cut each cork in half lengthwise. If the cuts are super jagged, you can sand them down to be a little more smooth. Your next step is to arrange them as straight as possible in the shape of your matt. This tutorial made an 18.5 x 30 inch matt, which is a little smaller than a standard bath mat. The size you choose is entirely up to you, however. Just make sure that you have enough corks, and shelf liner. You will need to measure and cut your shelf liner to size. Now is when you can transfer and glue the outer rows and columns of corks to the shelf liner, making sure to glue them to the top side of the liner. Apply a rectangle shaped glue line to the flat sides of each cork. About 1/8 inch away from the edge, line up the cork with the edge of the matt and press hard. Make sure to wipe away any glue that squishes out, though please make sure to do this once it has cooled a little so you don’t burn your fingers. Once the frame has been applied, you can transfer the rest of the corks to their rightful positions on the mat. You might have to do some arranging and rearranging to get a good fit. Once you have everything laid out the way you like it, then you can glue it in place! When everything is dry, you’re done. There is a second part to this tutorial. There is a debate on whether you should seal the corks or not. This is up to you, but you can read the tutorial writer’s test and findings here. I hope you enjoyed! Happy crafting! Rather than give glib answers and small steps that don’t explain much, I want to spend some time on here explaining steps to take to make your own costumes. Yes, I call it costumes, not cosplay, because that’s what I grew up with. A little known fact is that my undergraduate degree was a dual-major of history and theatre. The theatre I took because I loved costumes and costume design, and the history I took because it would help me with the research to make historical costumes. All of this leads me to a certain amount of experience in the area of making costumes from scratch. I’m passing that experience forward. So starting later in March, I’m going to start a series of blog posts that follows a costume from concept to creation. It may not run every week, but I will try to cover everything from costume selection, researching costumes, accuracy considerations, and construction. The aim is to create a series of posts that can be applied to any costume for someone to design their own costume. In fact, it can also be used to for any other projects as for so many, the same kinds of steps need to be taken. Before I start, I want to make sure I cover any questions that our audience might have. If you have specific questions- be it on cosplay, costuming, or anything related, leave it in the comments below or stop by our forums and give me a shout. I’ve posted about making your own boxes before, but during my many hours of youtube I found someone that has made the whole process even simpler. This is youtuber DaveHax and most of his videos are life hack types of tricks, but some are cool little crafting videos like the one above. 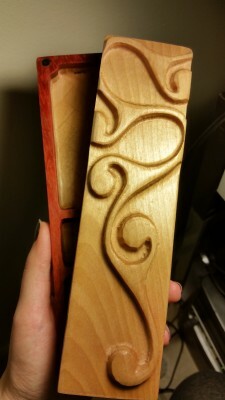 It’s a really great simple and cost effective way to make boxes for gifts or to use for selling/packaging your product. 🙂 For just a fun little craft magic, I also suggest checking out his blooming flowers DIY. Looks like a fun kids craft that can be done in an afternoon. 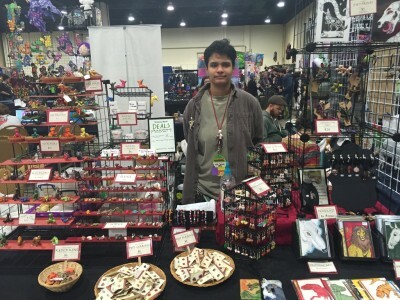 As Toni has posted, we are at MAGfest this weekend and it has been a blast! From concerts to exciting cosplays to random games in the hallways, this is one of those conventions that must be experienced to be believed. But as we spend most of our time at the booth, the surrounding vendors get the majority of our attention. Through my travels on the floor, I came across She-Jackal Arts and was drawn in by the artist’s display but more importantly, by their product. She creates wondrous little critters in clay and other mediums that are just adorable in miniature. Meeting new people is seriously the best part! 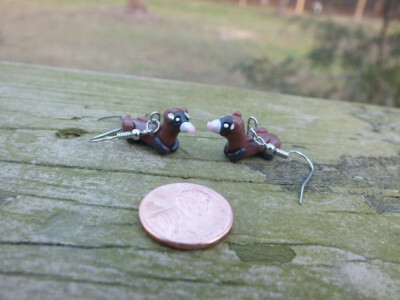 She has teensy little animal earrings and necklaces in a wide array of styles. The cutest little ferrets! I totally bought a pair. 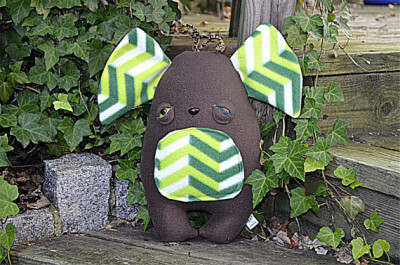 She even creates different dog breeds and if you don’t see your favorite, she will gladly take a custom commission order through her Etsy shop. I think the cuteness that most caught my eye was her display of animals as slugs. 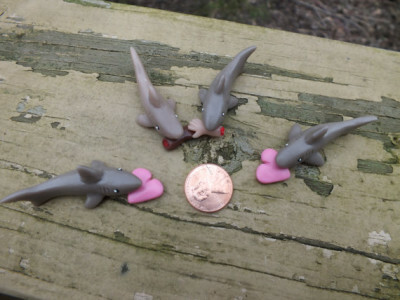 Yes, the little squiggly kind of slugs but with the head of a Corgi or an otter or perhaps a shark slug. These little guys totally captured my heart. If you want to own a piece or three of these amazing little creatures, She-Jackal Arts can be found on Etsy, Tumblr, and Instagram. Now back to the booth with me! As we hope for spring to come ever faster, I find I start looking for things to do around the house to freshen up what I’ve got. I found a beautiful and easy tutorial for how to update a piece of furniture. The tutorial will show a dresser, but realistically, this can be done to almost anything, so just use your imagination! Really the only things you need are a primer if you desire (spray or otherwise) two different colours of paint, and a length of lace that will be enough to cover your project. You can reuse the lace, but make sure you have enough to cover the length so that you don’t have to worry about matching. I’ve taken the photos and the idea for this DIY from this blog, so you can find extra photos (and the original tutorial) there. Your first step is to remove any hardware from your furniture like knobs or handles. Also remove any pieces, like drawers, so that you can paint everything individually. 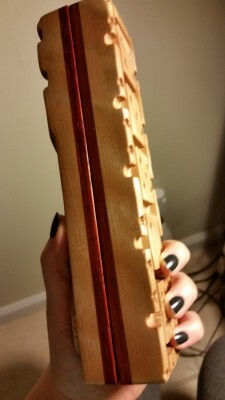 If you are priming your piece, now is the time to do it, otherwise continue to the next step. You can choose whether you would like to apply lace to the whole piece or not. 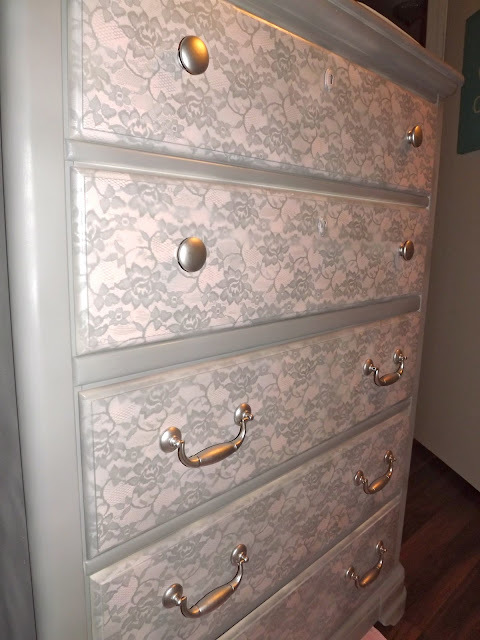 For a dresser set like this, it would be less overwhelming to only lace the drawers, though freshening up the colour on the frame would be a good idea to do at this point. Now is time to apply your first colour. You can choose whatever combination of colours that you would like, though you’ll need to remember that the first colour you spray down will be the colour of the lacy design. So if you’d like blue lace on a black background, then you will be painting blue first. After you have applied your lace colour, you can take the lace fabric that you bought – you can select any design of lace that you’d like, though I would keep an eye on the remnants bin at your local fabric store to get it cheaper if you can use smaller pieces. Lay the lace overtop of your first colour. I would recommend taping the lace down so it doesn’t move too much as you’re painting. Now is your chance to apply the second colour – which in fact is your base colour. This colour will be applied to all the open spaces in the lace, essentially creating a background. When the paint is applied, you can remove the lace – carefully – to let the paint dry. I might recommend spraying with a sealant to help the paint job last a little longer, though if it is inside, you may not feel it’s necessary. You can also spray your handles and knobs a new colour to match! And that’s all you need to do. You’ll end up with a beautiful piece of furniture that looks brand new in your space. 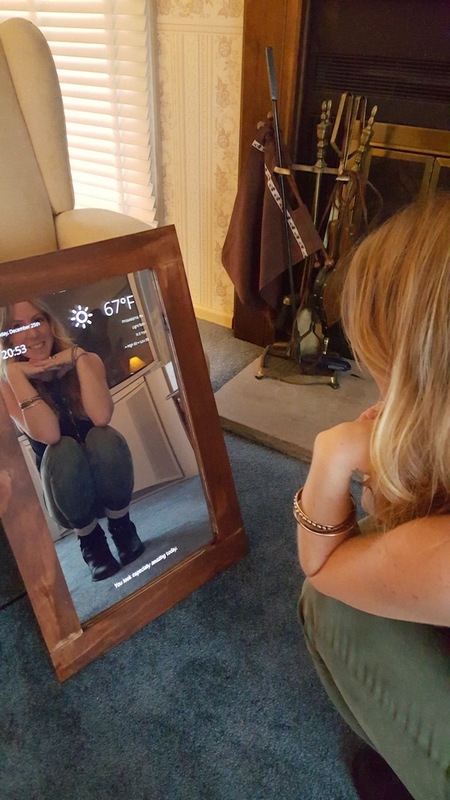 You can do this with dressers, tables, chairs, bookshelves, really anything you can think of. I love that it uses minimal supplies and has such a drastic effect.